The crowd at Dodger Stadium on a recent night received a reminder (and a reassurance) of something many prefer not to think about: prostate cancer. 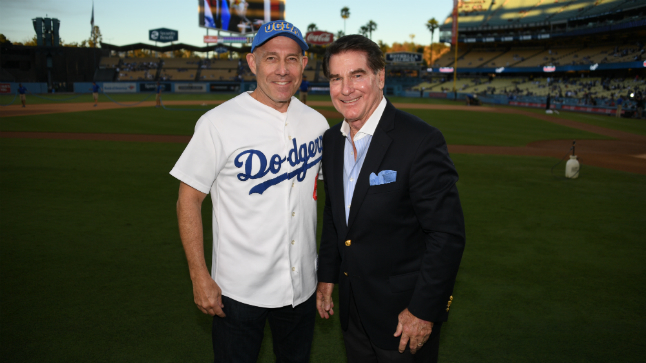 UCLA Urology Chair Dr. Mark Litwin threw the ceremonial first pitch at the game, a request of former Dodger star Steve Garvey. The pitch marked the beginning of Prostate Cancer Awareness Week. Prostate cancer is the most common cancer diagnosis in men. Risk for the disease increases with age, and the average age at diagnosis is 66. With the pitch, Litwin's aim is to reduce fear of the disease. 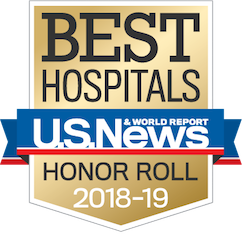 "Our ability to diagnose and treat patients with prostate cancer – and to classify the risk of individual patients based on their cancer – has greatly improved," says Litwin, a researcher with the UCLA Jonsson Comprehensive Cancer Center. "Treatment isn't one-size-fits-all. For some men, watchful waiting can be best. For others, advanced therapies or surgical intervention are better options." A ceremonial first pitch is a pointed reminder of the need to be aware, to be tested if necessary, and to remember that the disease can be beat – often on a man’s own terms. "For men of a certain age, it's important to begin that conversation with your doctor, who can assess your individuals needs and preferences and find the best path forward for you,” says Litwin.